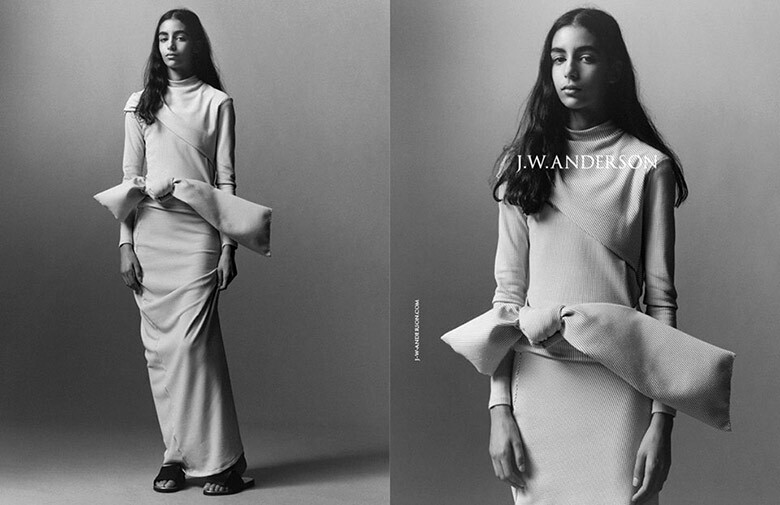 The J. W. Anderson campaign was just the starting gun to British Nora Attal’s career, who was named one of Model.com’s Top Newcomers in their breakout season category this season. 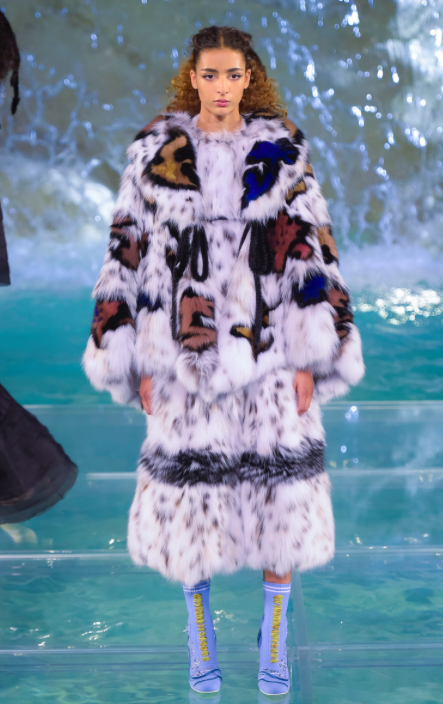 After her appearances at Dior’s Cruise show in Blenheim Palace, Prada’s Resort show, as well as walking in Fendi’s Fall 2016 Couture show on the Trevi Fountain, she returned in September with a bang. Opening for J.W. Anderson and Acne Studios, and walking for elite brands such as Burberry, Prada and Céline. Miss Attal is flying the flag high for the rise of the new British models. Did you have an interest in wanting to become a model or fashion, prior to being signed to an agency? To a degree yes, as when I was younger I would watch America’s next top model and the British version too and I thought maybe I could do that, but I always doubted myself as I didn’t really know the industry and if I would just be ‘another model’ and not anything special. But it was my dad who initially started talking about modelling, then I got scouted a couple times so it gave me more confidence in my self. 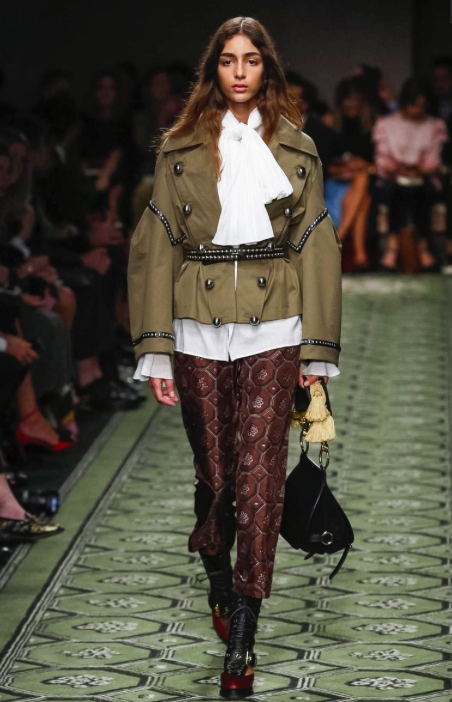 J. W. Anderson and Loewe have thus far been huge players in launching your career. How did this relationship develop? When I was 14 Jamie Hawkesworth came to my school at the time, and did a casting for the J.W Anderson campaign, and one day they announced that I was chosen. From there Jonathan Anderson also shifted me to his other brand, Loewe. Is there something significantly different working with Jonathan Anderson and his team, compared to working with other brands? Yes, I have been working with the team for a couple of years now and so its more like going back to friends and people who I know. Their whole team is so lovely including Jonathan. Courtesy of J W Anderson. SS14 Ad Campaign. A huge congratulation on your success during Fashion Week Month! What has been your highlight of this whirlwind experience? Firstly, thank you! And there are so many highlights working with new brands such as Versace, was an amazing experience and a new vibe to what I started with. Doing Loewe and JW, I always enjoy doing. Fashion Week is stressful in itself, but you were also revising for exams! How did you effortlessly manage to juggle the two? I didn’t do any shows but Prada in Milan and I only did shows after school and during the weekend in LFW, so my agency where very good at juggling it so I didn’t miss much. You’ve shot for magazines such as i-D, Document Journal and Vogue Germany. What has been a stand-out moment for you out of all these experiences? They are all different experiences but to me they felt like a normal shoot, until you see the reaction from people, then you realise how big the job was. Do you prefer runway or shoots? Model wise, probably Cara Delevingne, for the reason that from her recognition from doing modelling, she been able to do other things from it and promote charities. Outside of the fashion hemisphere, what do you find inspiring or interesting? I find things that I don’t know a lot about most interesting. And lastly, what is something you’d like to do but have not done yet? Both in fashion and in your personal life? I would want to do a big cover in the future, like British Vogue, maybe in a few years. I used to play piano again I used to play it really well, so I would like to pick that up again. Thank you Nora, and we wish you the best of luck for your future endeavours!